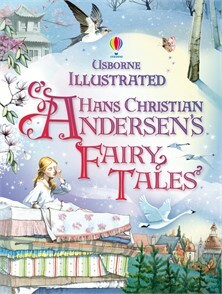 Twelve classic Hans Christian Andersen fairy tales enchantingly illustrated and specially retold for younger readers. Includes the best-loved characters of ‘Thumbelina’ ‘The Little Mermaid’ and ‘The Ugly Duckling’, as well as a biography of Hans Christian Andersen. Beautifully bound in a padded hardback, this is an essential addition to any family bookshelf and makes a wonderful gift.